I think I mean it this time. Part of the reason my blogging has been light is I’ve been trying out and trying to adjust to contacts. Bifocal contacts. No big deal, right? Well, this old dog can’t seem to learn this new trick. I had four different options to test out. The first group was a set of three variations on the new cool bifocal theme: concentric rings. Sounds high tech and gee whiz wow: concentric rings of near and far distance and the eye adjusts the image in your brain to bring it all into one coherent sharp edged picture. Yeah, right. In actuality however, it is much more like those old cartoons where a character gets hypnotized and their eyes start to spin in a psychedelic swirl, around and around. Like this. So the sets I was given had one with far distance in the center, one with one eye with center far and one eye center near, and one set with the different centers but different magnification. And then, just to make sure I had enough choices, I had a monovision lens to test out. 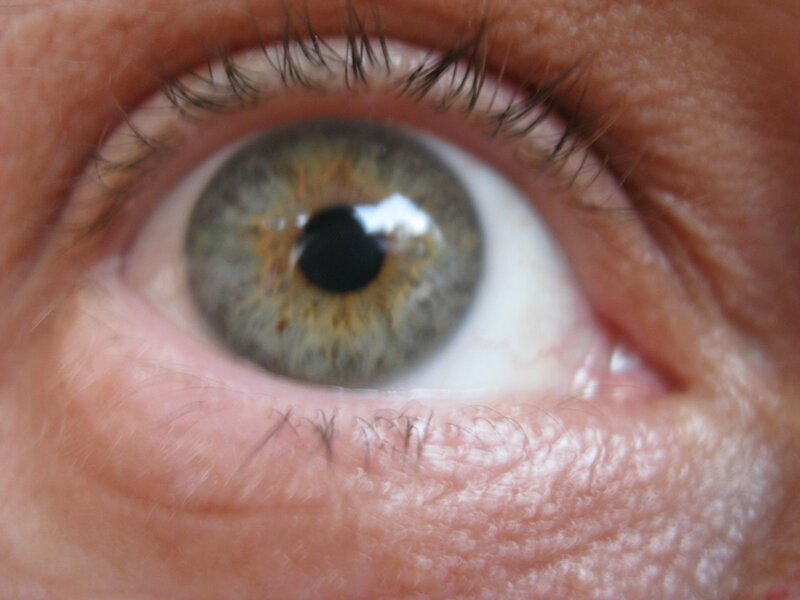 Kind of the same theory of different eyes, different magnifications, one sharp image in the brain. So, you would think out of all these wonderful, extensive choices, I would find the perfect set of contacts. I might have, except for the bumping into things. Ok, not really. But close. The monovision made me tippy. Not tipsy (sheesh!) but tippy, kind of off kilter. So those had to go. The others seemed ok. The far was fantastic. And the near, reading…well, I tried. I squinted, I reached my arms as far as they would go, I popped ibuprofens as my head ached…..because it was just a matter of time, right? Yeah, exactly. Until I grabbed my glasses when I had my contacts in and thought “ah, see there ya go, NOW I can see.” Hmmm, I don’t think it’s supposed to work that way. The last straw was when I was trying once again to swap lens and test out another version, give it a second try. Last Saturday. I grabbed an old contact lens case (because I couldn’t see, my eyes were blurry from the strain and it was morning, ok?) and put in the lenses. Then after oh, 15 minutes, I took them out because they were killing me. I figured I must have scratched my eye as I popped the lenses in, in my typical clumsy fashion. I asked husband and son if they saw anything in my eye, I looked for a lash – nothing. So I put in some drops and went on about my day. I waited for my eye to stop hurting. It didn’t. Finally, late that night, my eye was getting swollen and goopy. And finally, after closer inspection -with I had my glasses on I found a contact lens, ripped in half(! ), under my lid! No wonder my eye hurt! No, I still don’t know how that happened (and yes, you could make a strong argument that if I am that inept I have no business trying contacts, I know). Happy to have that resolved, I went to bed. Ahhhh. I woke up a cyborg. My eye was closed shut with yuk and swollen almost shut even after it was, um, degunked. It was red and miserable. Blurry. I was going blind, I knew it. It took four days to stop hurting and get back to normal. It still has one small spot of red just for old times sake, but it is fine. My husband is adamant – I am not cut out for contacts, please please stop. I think he might be right. So I quit. I will keep my glasses, get some prescription shades and resign myself to having same glasses flung off my face with the enthusiastic hugs and play of my sweet toddler. I will accept the encroaching middle age and appreciate the magic vision of spectacles. I will give up this folly, this pursuit for contacts, once and for all. >That is a great story. Sorry you felt yucky, but great story!